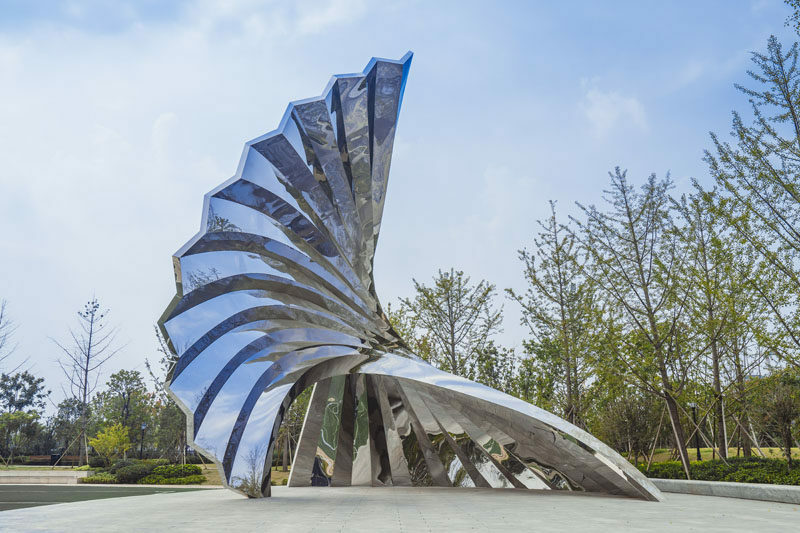 London-based artist Richard Sweeney, collaborated with global studios and workshop UAP, to create his largest permanent sculpture named ‘Reflection’, that’s located in Zhengzhou, China. 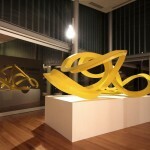 Known for his intricate modular paper sculptures, the artist was inspired by the forms and motion found in nature. 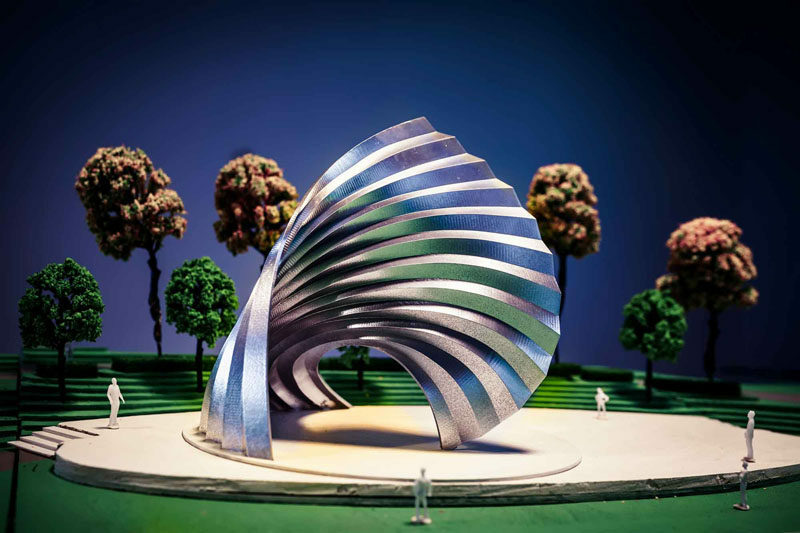 Here’s a model of the artists’ vision for the sculpture. 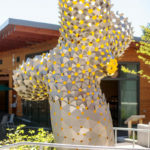 Embracing an explorative and experimental approach to design, the collaboration with UAP enabled the artist to branch out beyond the confines of his typical, ephemeral materials. 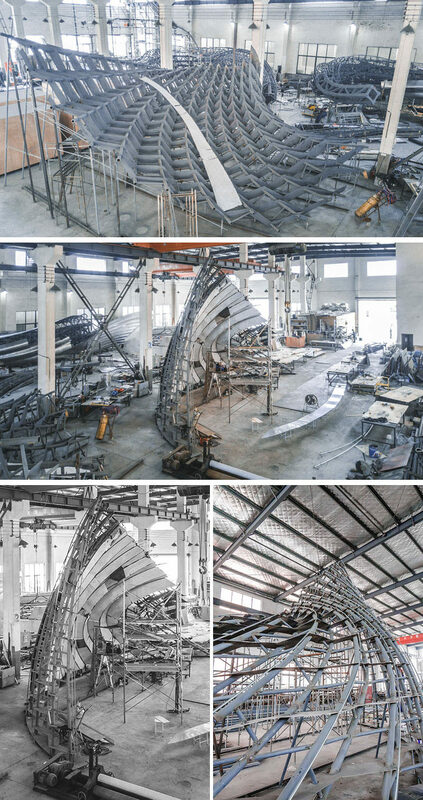 UAP created the metal framework for the piece in a large warehouse before transporting it to the location. 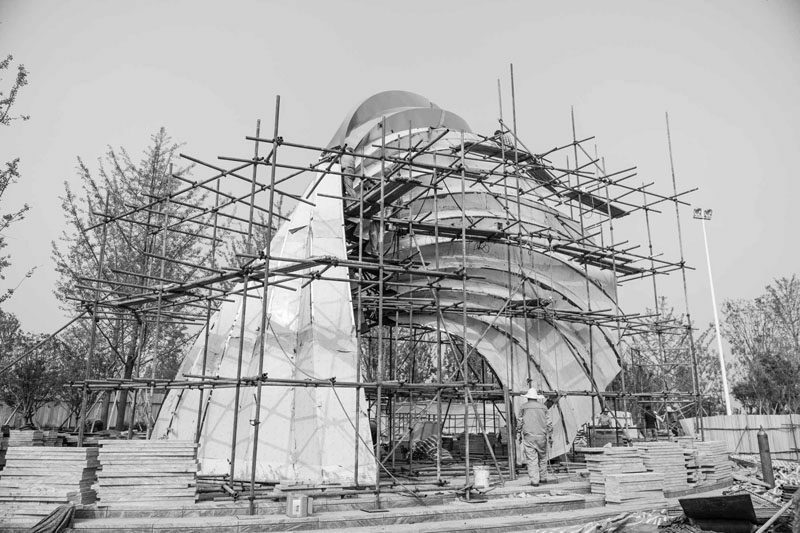 The various pieces of the framework were then pieced together on site, and the finishing touches were completed. 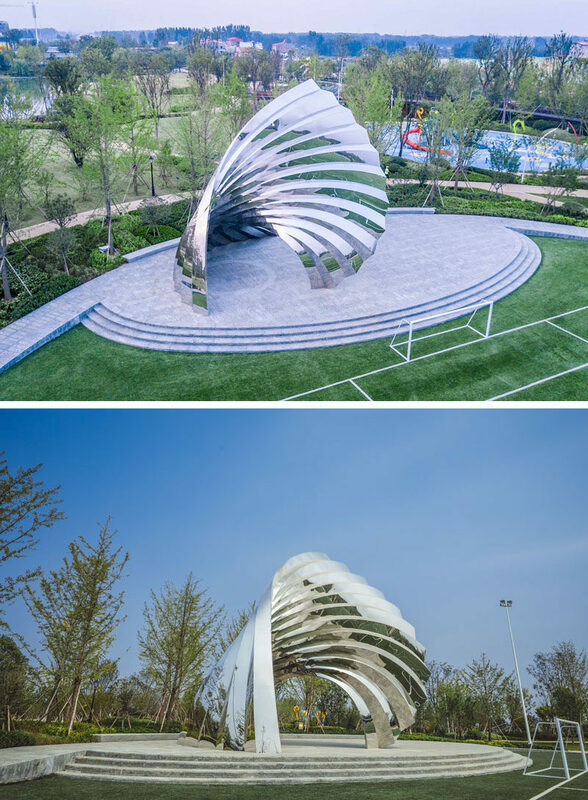 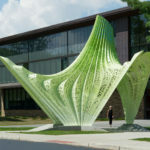 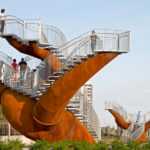 The end result is a eye-catching sculptural public art installation that showcases the artists signature curved pleating technique. 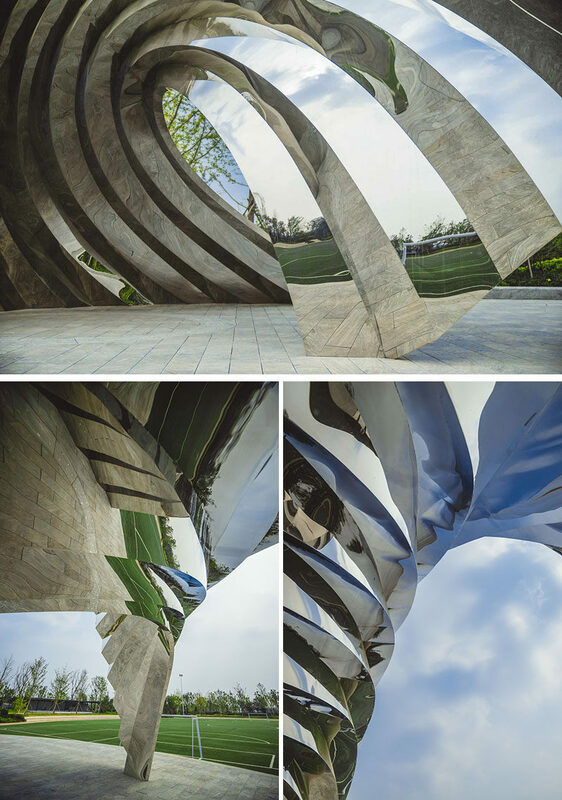 The structure, with its mirrored polished stainless steel finish, spans more than 39 by 36 feet (12x11m), making it Sweeney’s largest permanent sculptural work to date, and it will act as a sun shelter and communal meeting space for local residents and visitors.